You know what we, the human beings, all have in common? Well of course, our pores come in different sizes. 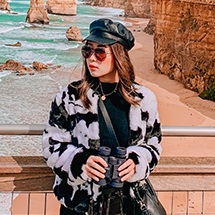 The luckier ones have very small pores, but the slightly unluckier ones have otherwise - also meaning that they tend to suffer from having opened, clogged or enlarged pores, which are one of the major beauty concerns for most of us. Usually not an inborn trait, there are many reasons why some people have enlarged pores as they age. 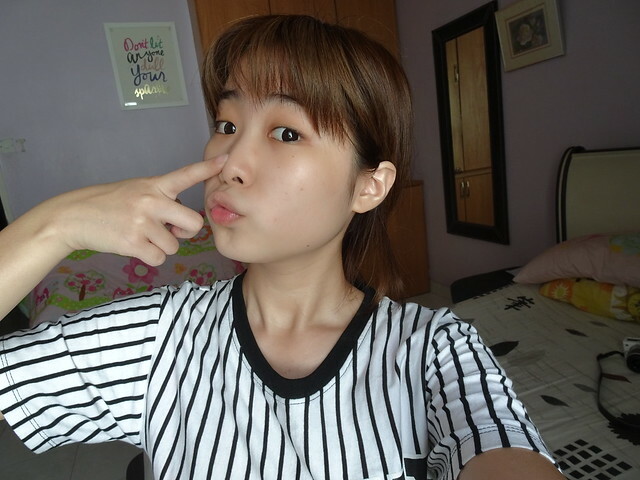 For example, people who have naturally oily skin tend to have larger pores. Another contributing factor is genetic predispositions. If one or both your parents have large pores, it's very likely that you would experience a similar condition too. 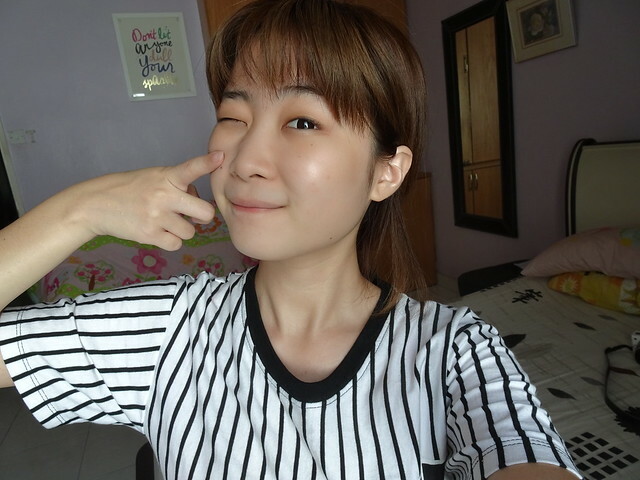 Just when I thought there's no effective way I could get rid of my ugly pores, the lovely team from LANEIGE Malaysia sent me their newly-launched skin care products last week, i.e. the MINI PORE SERIES. This range of products is specially designed for people who are troubled with annoying poreblems (like me!). 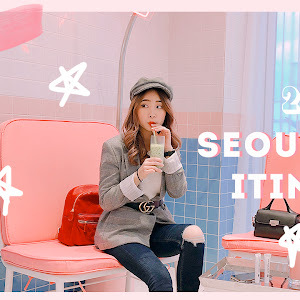 I was over the moon when they contacted me and I really couldn't wait to try the products out!! 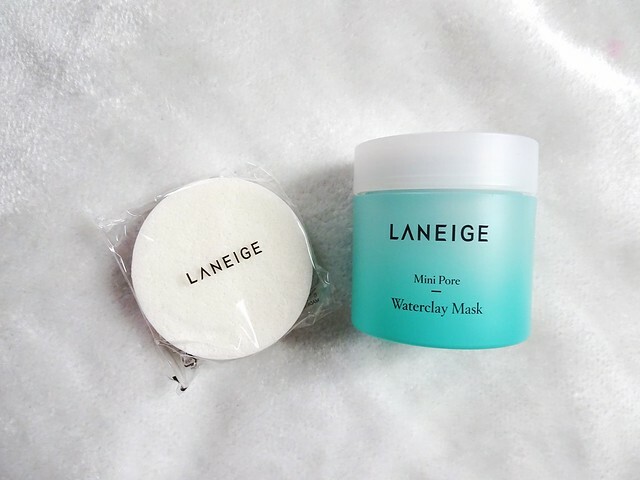 LANEIGE's all-new Mini Pore range comprises two products: Mini Pore Waterclay Mask and Mini Pore Blurring Tightener. Let's see how these new babies look like and what result they are able to poreduce! 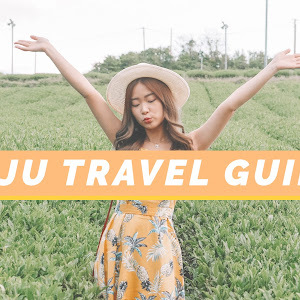 (well, specifically for our pores)! It also comes with a special sponge to remove the mask, wow!! 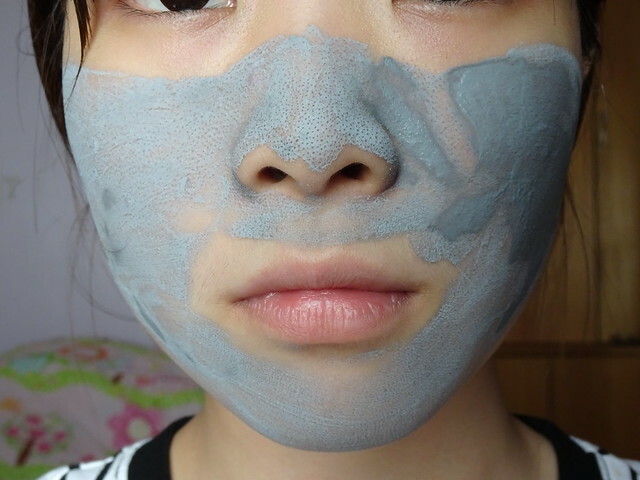 This mask contains mud extracted from the Shinan region (an area rich with uncontaminated mud in South Korea), Mint Water and Pine Needle extract, this watery, gel-based clay mask is effective in removing excess sebum and minimising enlarged pores. At the same time, it also makes sure that your dry pores are taken care of with the moisture it carries! 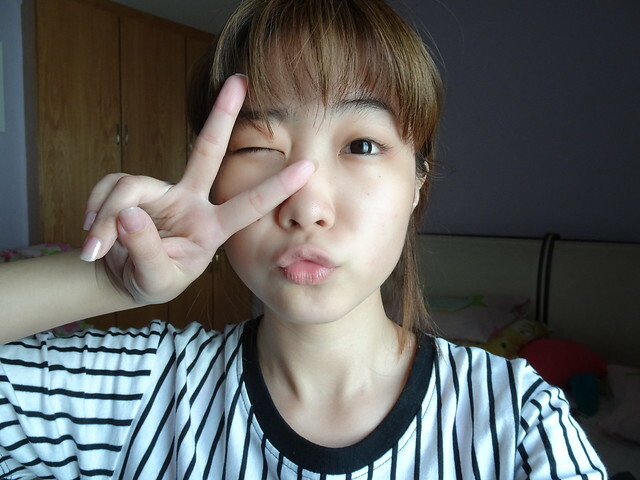 Look at the imporefections on my nose and cheeks area!!! 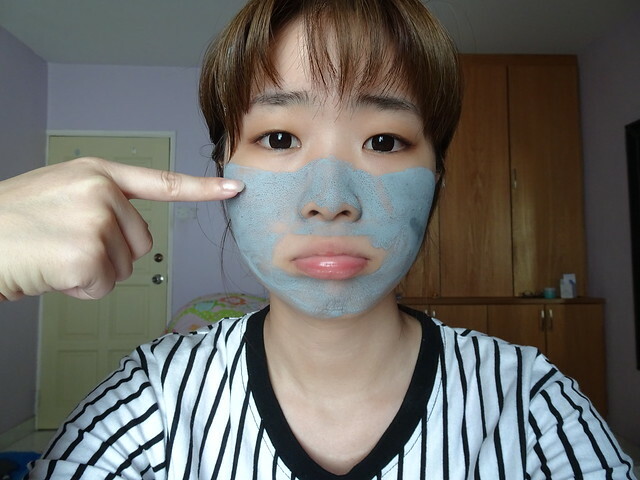 The pores on my nose are so unsightly urgh :( On a side note, the Waterclay Mask can be used on the entire face (excluding the area surrounding your eyes) or simply on areas with excessive sebum. Leave the mask on for about 10 minutes, then you are free to go and wash your face with the sea sponge provided!! 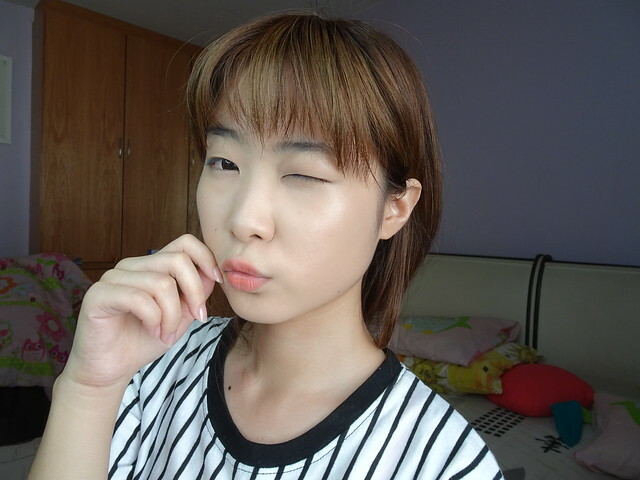 Okay, I'm back, with a smoother and 'PORELESS' skin! 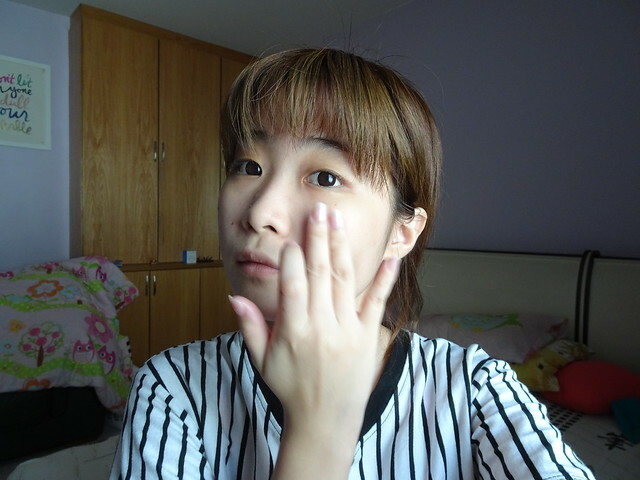 Obviously, it is not some kind of magic potion that already sends all my pores running home, crying to their mama upon the first application. 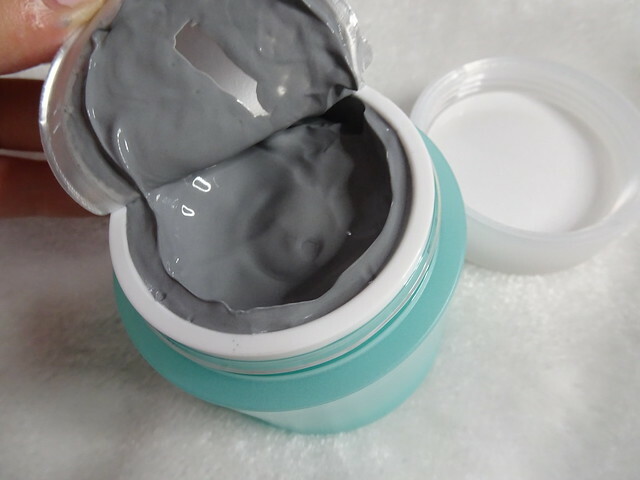 However, my skin does feel firmer, tighter and softer after using the Waterclay Mask!! 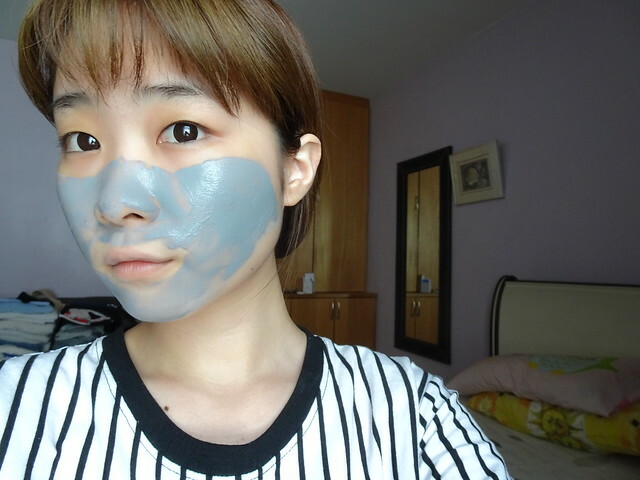 After using the Waterclay Mask, it's very important to moisturise your skin. 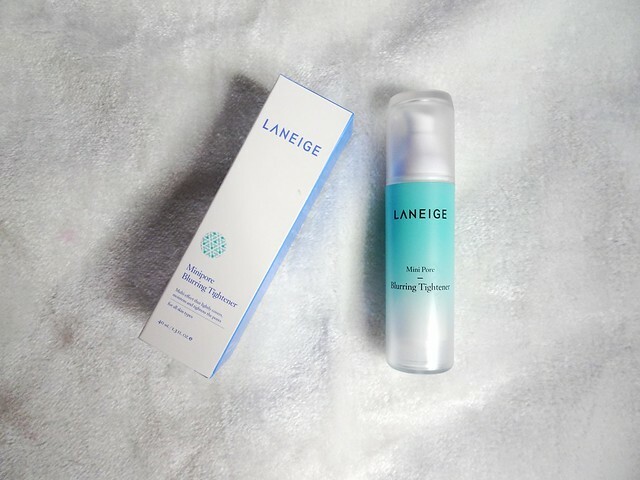 Then, it's time for the LANEIGE Mini Pore Blurring Tightener, 40ml (RM135) to come out to play! 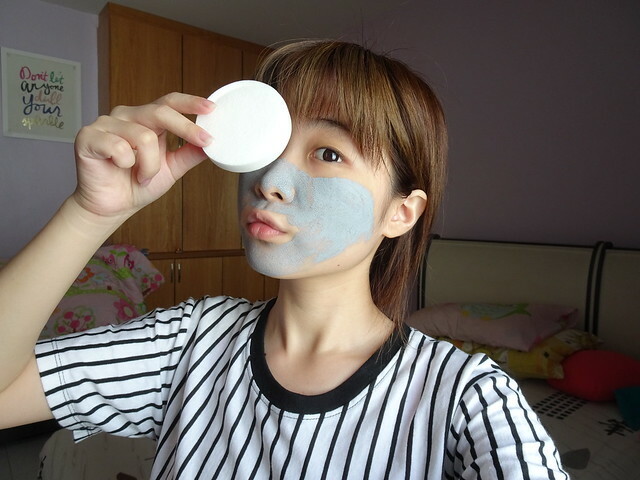 Apply on areas with noticeable pores and gently pat to promote absorption into the skin. I REALLY LOVE the texture of the Mini Pore Blurring Tightener!!! I feel that it actually covers up my pores pretty well, and my skin felt immediately smoothened upon application!! 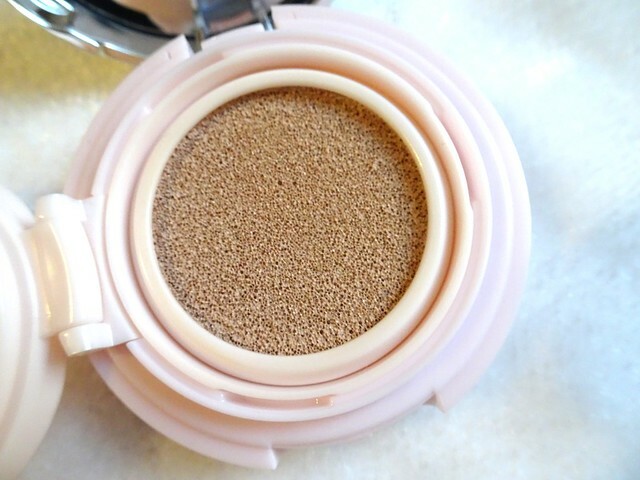 I'm a huge fan of LANEIGE's BB Cushion, and I couldn't be any happier when they launched their new BB Cushion with pore-controlling effects, which (to make everything twice as awesome) is available in 6 different shades!!!! 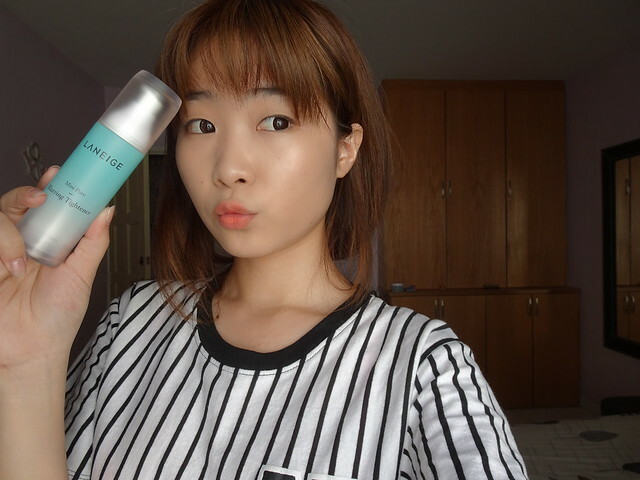 The LANEIGE BB Cushion Pore Control doesn't only make you look pretty, but it also cares about your skin and your imporefections. 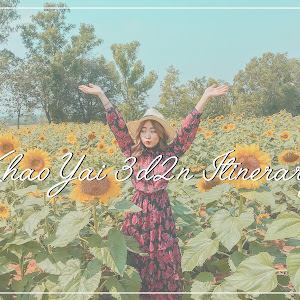 It is formulated with Melia, Keratinase and Salicylic Acid that work to remove excessive sebum hanging out around your pores, while at the same time prevent the formation of sebum oxidation and inflammation that might cause acne and blemishes! So many benefits in 1 single product...tell me how not to love it!!! 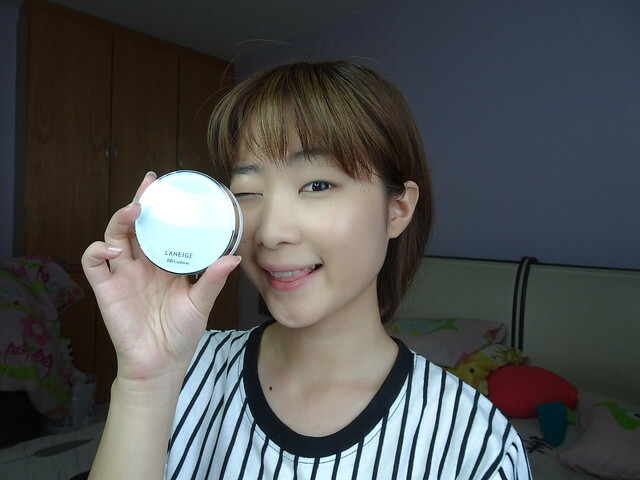 Ok, I've done my makeup base with my trusty LANEIGE BB Cushion Pore Control! 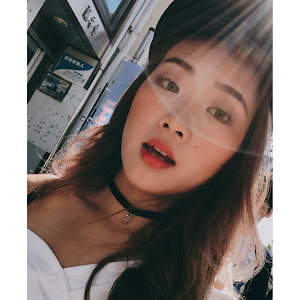 If you didn't already know, I'm a sucker for highlighters because I always want my skin to look like its glowing, just like the Korean celebrities!! 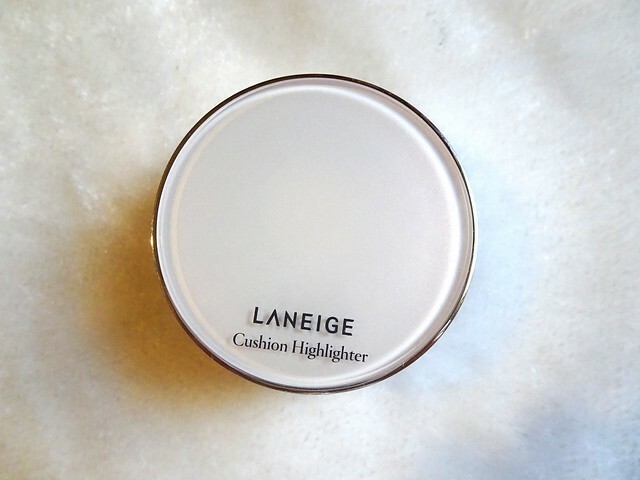 LANEIGE has also launched their very own Cushion Highlighter, which I'm very obsessed with ever since I got my hands on it! 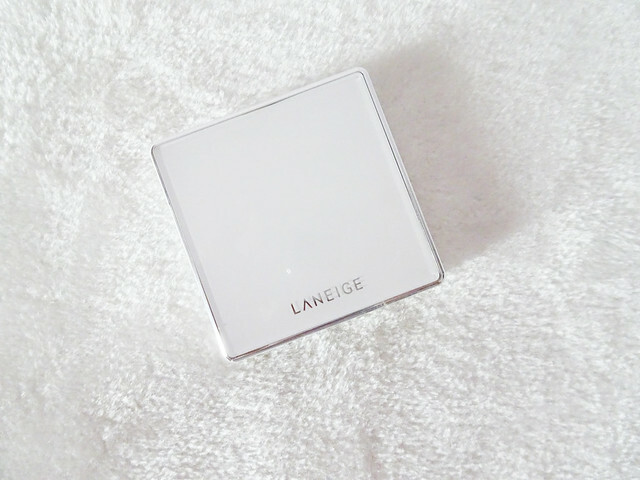 The packaging looks pretty similar to the LANEIGE BB Cushion. It is formulated with 35% moisture and colour-coated micro particles to offer your skin a natural, radiant glow. 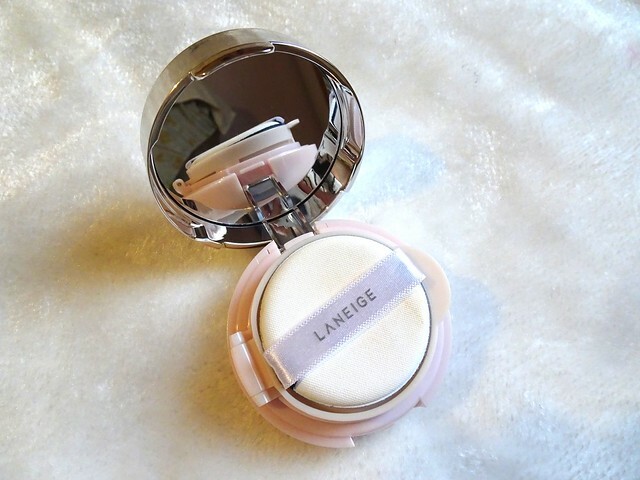 I guess by now, all LANEIGE BB Cushion users know how awesome the cushion puff is! 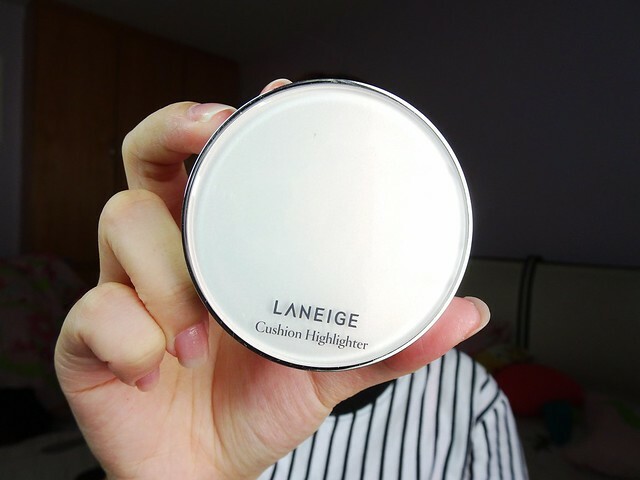 Now, LANEIGE is bringing back the same technology to their Cushion Highlighter too!! The cushion puff helps the hydro-radiant particles in the Cushion Highlighter to adhere to the skin without forming any clump or creases! 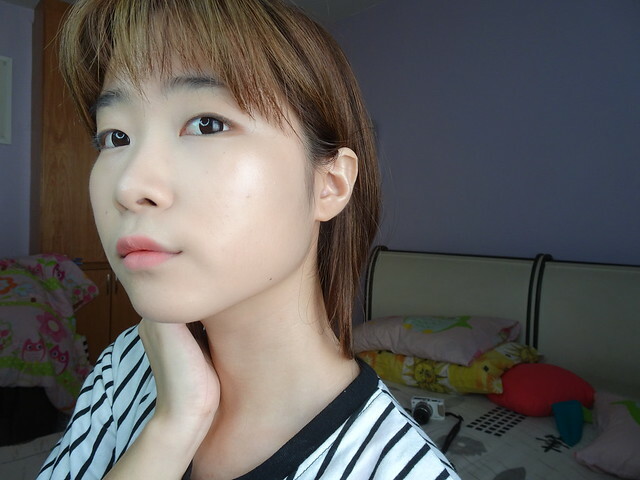 To keep up to the trend of K-beauty, the Cushion Highlighter is a must-have! 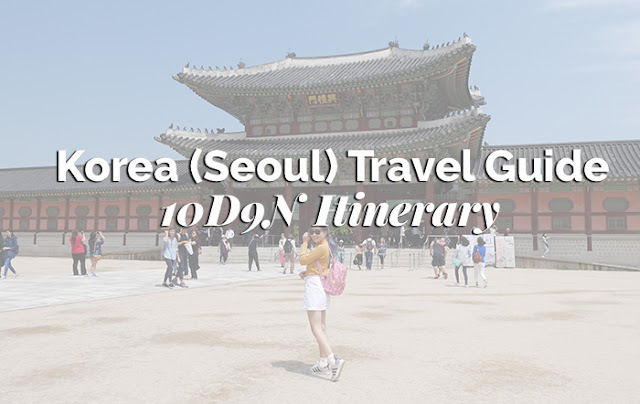 Lightly pat around the cheekbone, nose bridge, forehead and cupid's bow to create the perfect radiant K-beauty look!! 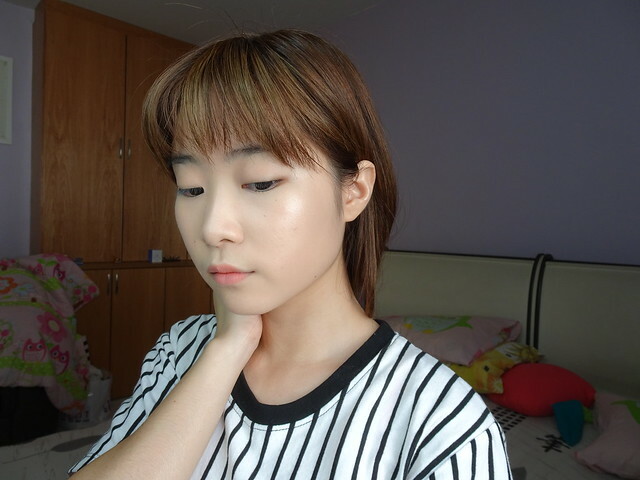 Really adore how the Cushion Highlighter makes my face look so glowy!!! It makes me really happy to know that products in today's market have such an reassuring standard. 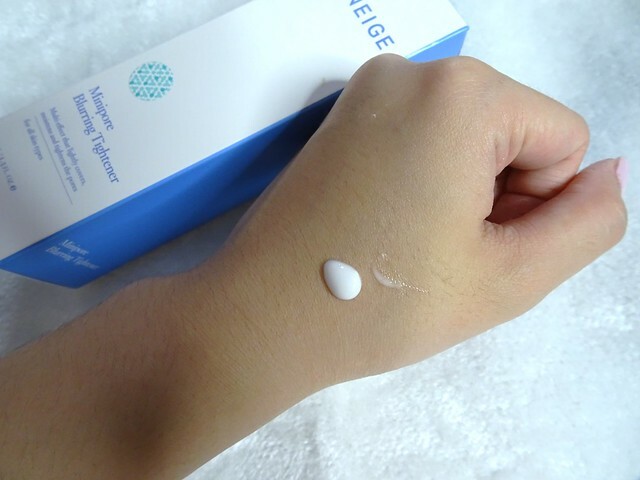 LANEIGE really killed it for this one. 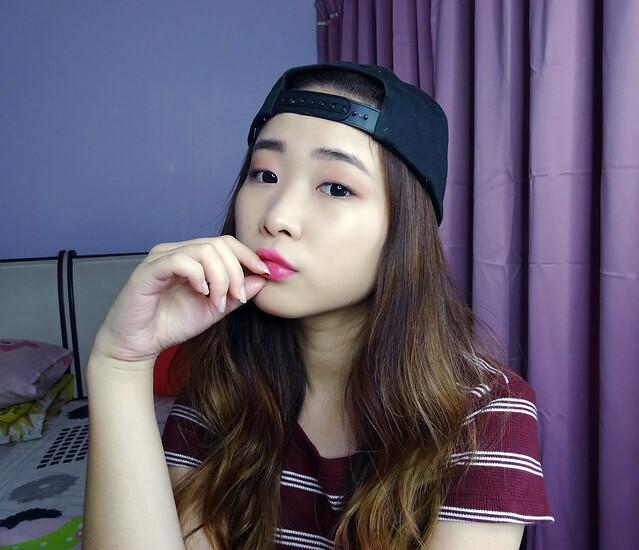 To step up the makeup game, feel free to play around with some eyeshadows!! Introducing LANEIGE's Spring/Summer 2015 Pure Radiant Shadow collection: an eyeshadow palette consisting of 4 irresistibly gorgeous shades! 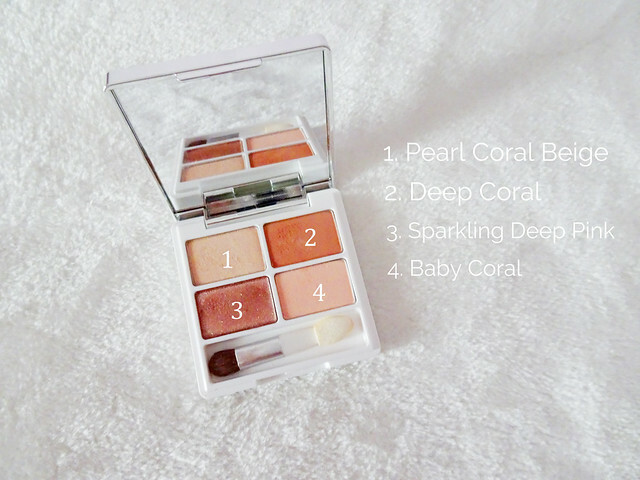 Cashmere Coral comprises 4 natural earth-toned shades, which are best used to add a soft and feminine touch to your look! The colours simply look so elegant. 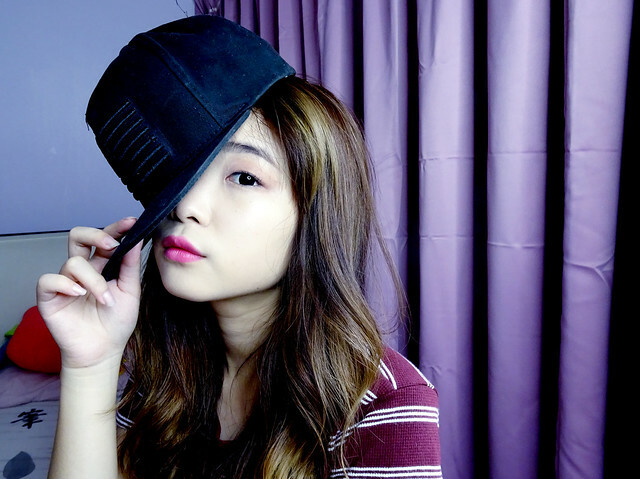 What's even better, they seem wearable for everyday look!! 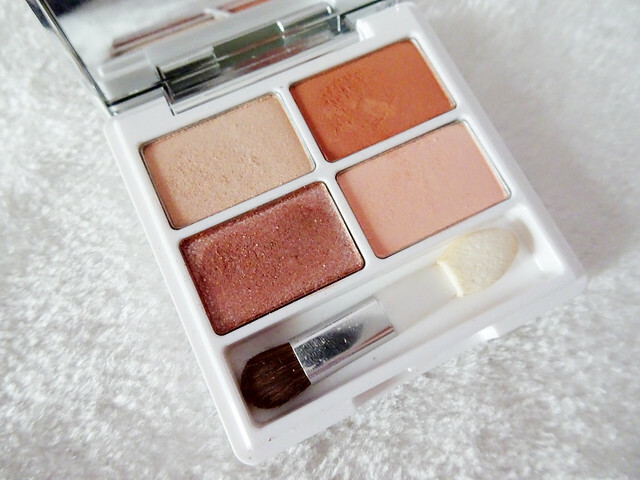 With a smooth texture, the colours glide easily on your eyelids leaving no creases nor clumps at all. 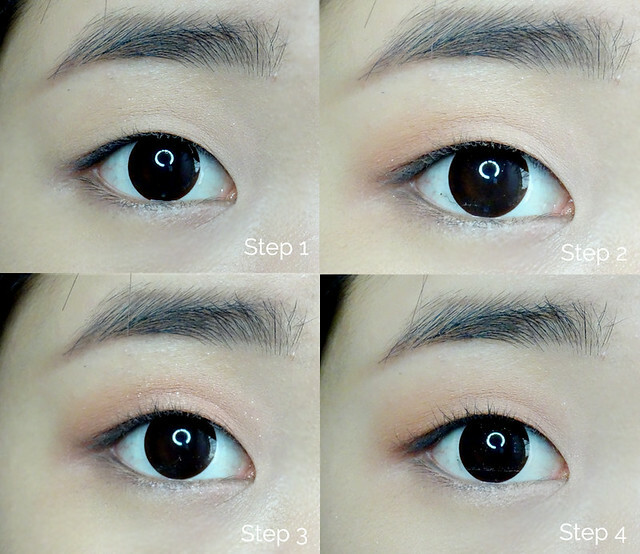 Here's a simple tutorial using the Pure Radiant Shadow in No.8! 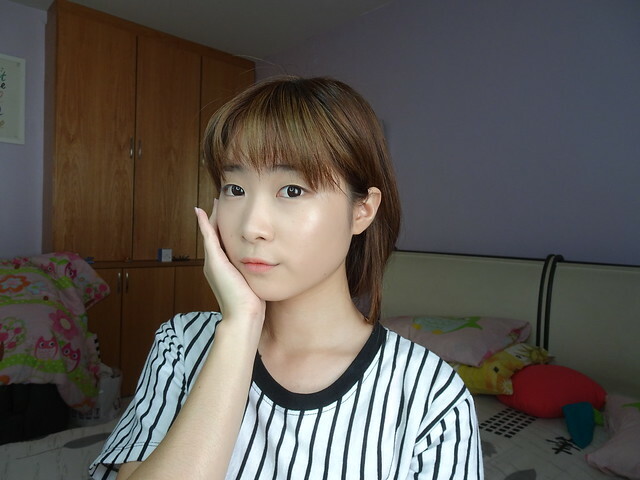 So now you see....a pore-less skin with a radiant glow - which you often admire your favourite Korean celebrities for - is porebably not even a dream anymore!!! 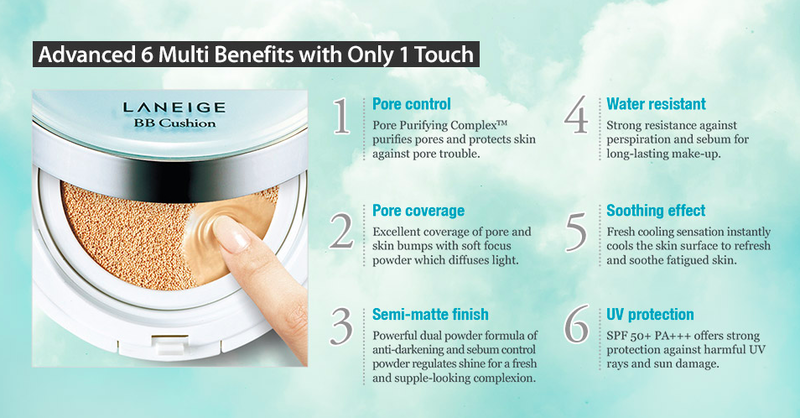 Thanks to LANEIGE's innovations, having a porefect skin can't be any less imporessible. 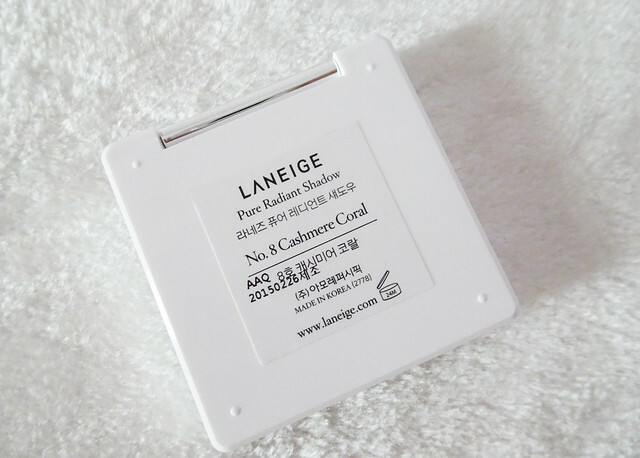 Head down to any LANEIGE stores now to grab these babies home!! Don't forget to check out their FB page for updates on poremotions from time to time! By the way, every pun is indeed intended.